New Delhi – Lava has started rolling out the latest Android 5.0 Lollipop update for the Lava Iris X1 Grand and Lava Iris Fuel 50. The company said that the software update is being pushed out via OTA (Over-the-Air) and is about 550MB in size. Users can connect to the internet to download the update in their smartphones. On the company’s official blog, Lava has listed some keys features of the update – essential changes that Lollipop brought to the platform. Users using Iris Fuel 50 smartphone can also manually check for the Lollipop update by going to Settings > About Phone > Software Update. The new Android 5.0 Lollipop update features an improved notification system apart from Material Design. It has got a Killer Switch and improved security; improved hardware keyboard accessory support (including support for multilingual, search key, emoji input and improved app and system key chords), support for 15 different languages that support Bengali, Malayalam, Tamil, Telugu, Marathi, Kannada and many more. 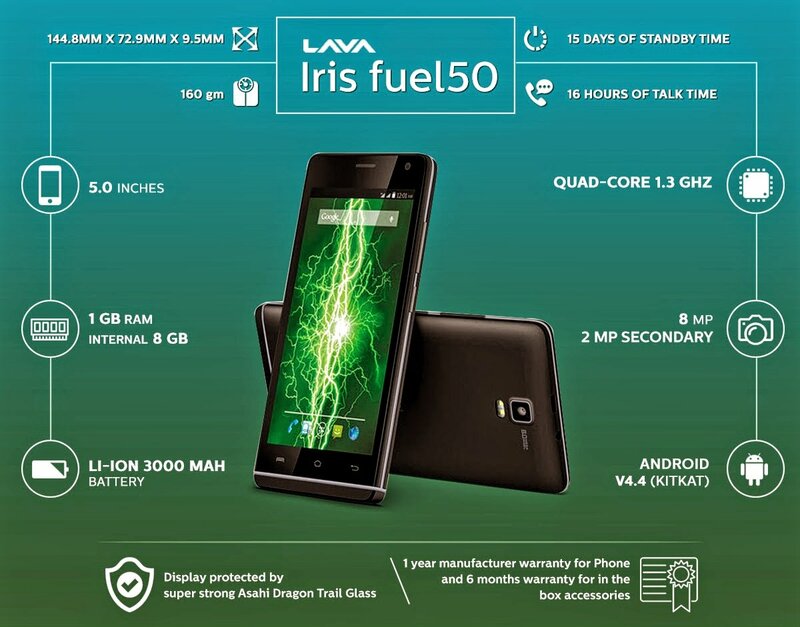 The Lava Iris Fuel 50 sports an 8-megapixel rear autofocus snapper with dual-LED flash alongside 2-megapixel front-facing camera also on board. Whereas, connectivity options include 3G HSPA+, WiFi 802.11 b/g/n, Bluetooth 4.0 LE, GPS. 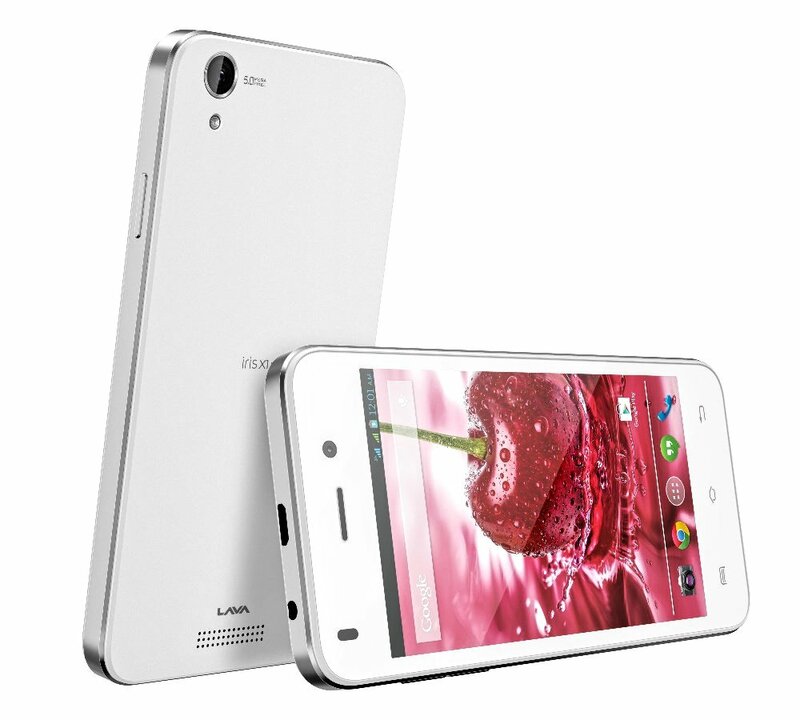 Reiterating the specifications of the smartphone, Lava Iris X1 Grand sports a 5-inch (854 x 480 pixels) FWVGA IPS display. It is powered by a 1.3 GHz Quad-core MediaTek processor coupled with 1GB of RAM. The Iris X1 Grand houses 8GB of internal memory, which is further expandable up to 32GB via microSD card. This Lava device runs on Android 4.4.2 KitKat out of the box. In the imaging section, the latest offering from Lava features an 8MP Auto Focus rear snapper with LED Flash, BSI 2 sensor and at the front, users will see a 2MP front-facing camera. Connectivity options include 3G HSPA+, WiFi 802.11 b/g/n, Bluetooth 4.0 LE, GPS and it is a Dual SIM smartphone with dual standby.